In a novel and large scale study, researchers from the University of Maryland (UMD) College of Agriculture and Natural Resources (AGNR) have put together 40 years of data to quantify the benefits of Bt corn. Previous studies have shown the benefits of Bt corn adoption on pest management for pests like corn borer for years, but this is the first study to look at the effects on other offsite crops in North America. 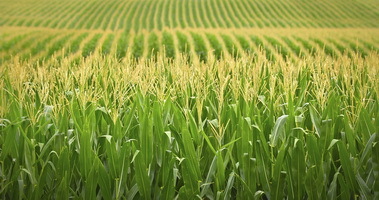 Bt corn, a genetically modified crop adopted in the United States in 1996, makes up over 90% of the current corn production in the country. In the study, Dr. Galen Dively, Integrated Pest Management (IPM) Consultant in the Department of Entomology, and Dr. Dilip Venugopal, UMD Research Associate, used data from 1976-2016 to look at trends 20 years before and 20 years after Bt corn adoption. "Safety of Bt corn and other GMOs has been tested and proven extensively, but this study is about effectiveness of Bt corn as a pest management strategy, particularly for offsite crops or different crops in different areas than the Bt corn itself," explains Venugopal. By controlling the corn borer population, the study shows significant decreases in recommended spraying regimens, pest populations, and overall crop damage not just for corn, but also for peppers, green beans, and other important crops to North American agriculture. These benefits have never before been documented and showcase Bt corn as a powerful tool to combat pesticide resistance and advance the agricultural industry. Venugopal said that the next step would be to "quantify the millions and millions of dollars in economic benefits we see here in a very concrete way to show money and time saved on spraying and pest management, crop damage reduction, as well as consideration of the environmental benefits." He emphasized that Bt corn should be considered as one of many tools in an IPM tool box. "The benefits are undeniable, but must always be weighed against many other options to use a broad range of tools and maximize benefit while minimizing any potential risks," he added. Read more about this study in the AGNR News & Events.